Here's a pic from Capt. Gary Dubiel, he had a great half day on the reef below New Bern, landing over 30 stripers. From the coast, plenty of small specks and greys at the rock jetty, enough keeper pups in the mix to at least come home with dinner. Saturday was OK with the albies, they seem to be moving a little closer inshore and at least would eat, we landed 6, but most of those Dragin Fly. Albies have slowed way down, but these northerly winds should push them on to the beach. Plenty of blues, specks and greys, pups and flounder along the beach. How can it go from being so good to so bad? Well, the ablie fishing anyway. Caught another big drum today, also a nice king, plenty of trout, both greys and specks.......but no albies. 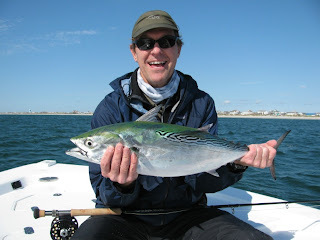 Great albie fishing the last two days on the east side, today they jumped the shoals and could be found all along the beach from the Cape to the Sheraton. Big drum again yesterday on the east side. Lots of pups and trout along shack. "Still plenty of specks coming to the boat out of Oriental with a higher percentage of nicer fish with the cooler weather. Puppy drum fishing has been red hot the last couple days with some excellent afternoon sight casting. A few flounder having rounded out a nice mixed bag. 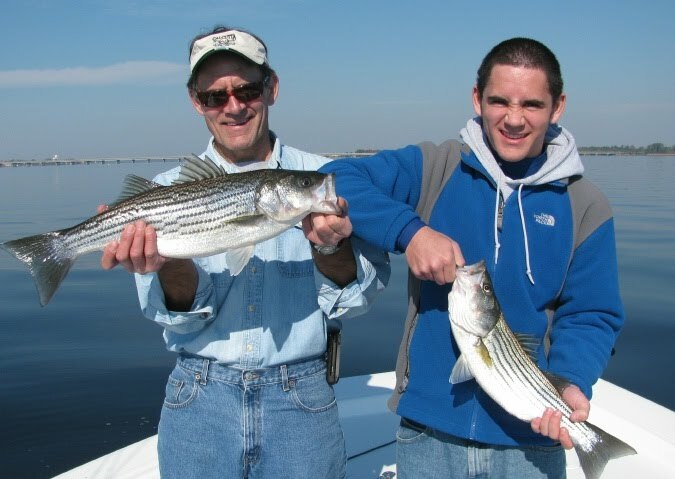 At New Bern, striper fishing has been very good. We are landing fish on top waters and on jigs with plenty of slot and over slot fish in the mix. Specks and puppy have also been biting very well in the same areas. Most of the specks are pretty nice size." "boss its hard to believe that after a nasty week of rain and wind you would go out their and catch 6 marlin out of 9 raised. 8 bites and 6 released isnt that is awesome!! we also catch 2 big mahi mahi"
Maybe we'll have some decent fishing here after all the crappy weather. 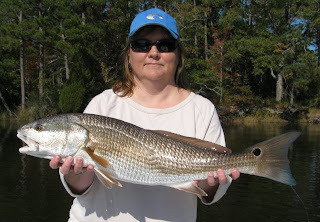 In addition to exploring the Crystal Coast, take some time and explore www.saltwatercatch.com Lot's of great stuff.